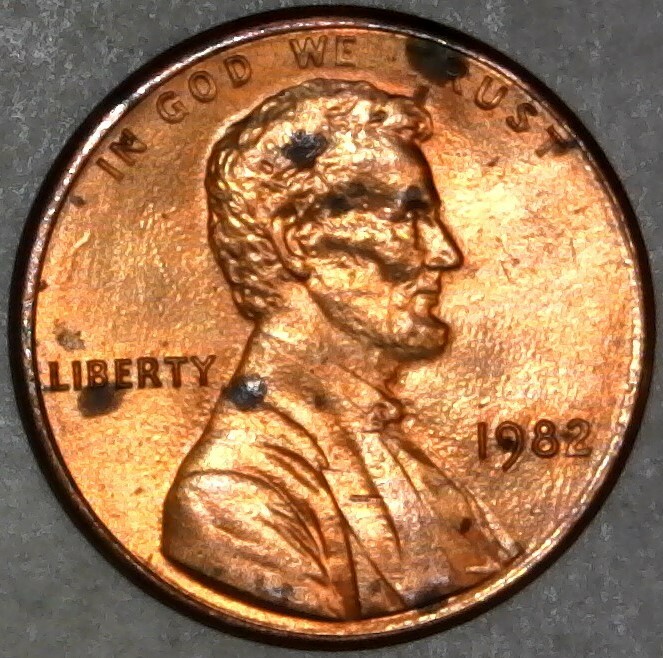 1982 P Small Date Lincoln Memorial Cent With Nice Struck Through! 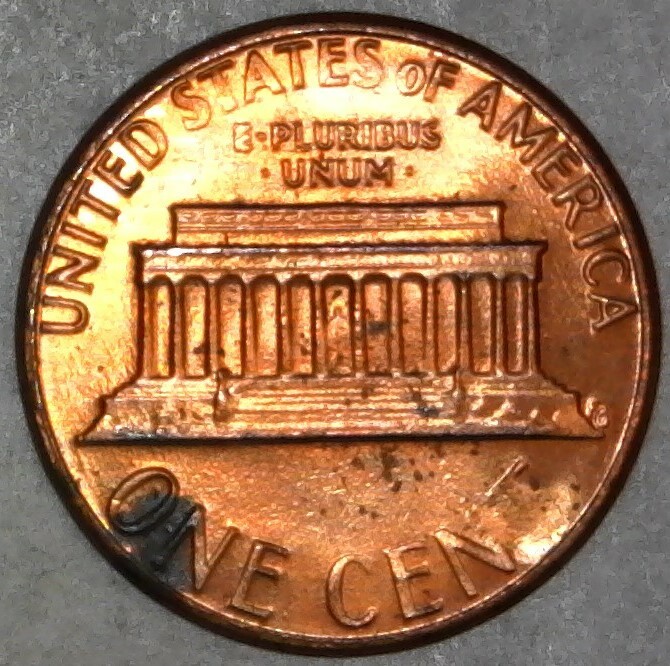 I found this in a circulated mixed bankroll, from a bank box of U.S. Pennies. 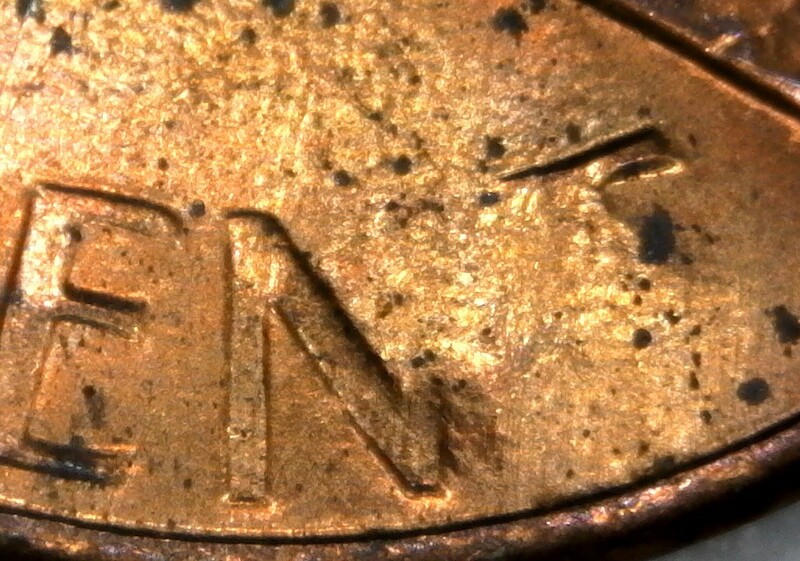 It has a very nice Struck Through error on the reverse where NT of "CENT" is. It's in MS BU condition, but with spots and with tiny zinc rot starting to form unfortunately. I'll still keep it anyways, since I got it for face value only. Looks like a struck through grease and paper. Note how you can see the rolling lines close to the edge area. So something was filling the die and preventing the strike on that area. Oh wow! That's pretty cool Coop!